What is my idea for motivating students - letting them walk around. I know - groundbreaking stuff right! But off course the trick is to make them work while they are walking around. My students love any sort of scavenger hunt or scoot game. I take any task card like activity, tape or place the cards around the room and send my students off with clipboards to work and learn and they love it. They are too funny when they can't find a certain numbered card, helping each other out, they share their thinking - they just love it. Last year I hid Hershey Kisses around the room for the students to collect as data for a graph and hid plastic Easter eggs with math questions inside for them to find and solve. My students also love any variation of snowball. Taking math questions, scrunching the paper up, throwing it (the best part) and then scrambling to get a snowball so they can quickly answer the question and start all over!! Last week I blew my students minds when I added QR codes to the scavenger hunt. It was in their words "the best math class ever!" 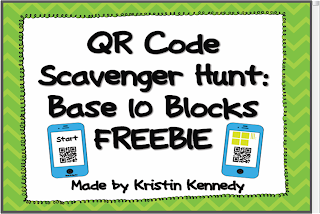 I used a freebie from Kristen at iteach 1:1 that had my students counting up base 10 blocks like it was the most amazing thing ever. 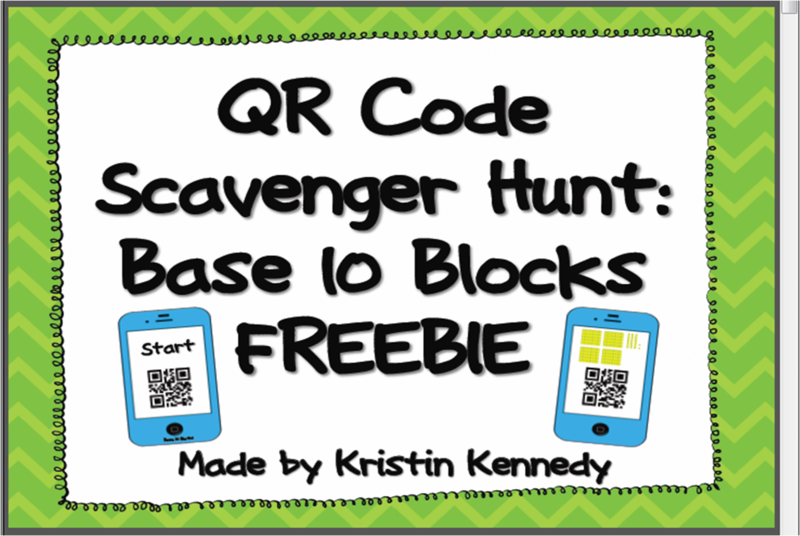 I have 3 more of her QR code scavenger hunts in my cart at TPT right now (speaking of motivating, this bonus sale at TPT has me motivated to shop - use the code FB100K to recieve 10% off your entire purchase). While my student loved using the tablets - they belong to the whole school so we can't use them all the time. I made some addition task cards to use during our math rotations though and I am sure they will love these too. What I love about these types of activities is that when using them with groups you can easily differentiate the task (but since the cards and activity look the same no one knows that some students are working at a different level). These cards are on sale in my TPT store right now - my entire store is on sale 15% off (plus the TPT discount code = 25% off) if you want to check them out. Better late than never! :) I've seen several posts around blogland about scavenger hunts! I may have to try this! Thank you for the great ideas! I definitely agree that movement is a great motivator. I totally agree with you about movement! My students think the scoot games are recess!! I've played the snowball one too! I'll wait til it gets cooler to introduce it to this group! I love your idea of the scavenger hunts too! Thanks for sharing great ideas and coming to my party BBB!